Welcome to Yasodhara Yoga Toronto – a yoga community for newcomers to yoga, as well as experienced practitioners. Yasodhara Yoga is a reflective approach to yoga that integrates body, mind and speech. 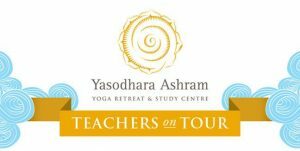 Yasodhara Yoga Toronto (YYT) belongs to a worldwide network of teachers and centres offering practices based on the teachings of Swami Sivananda Radha. We offer a range of yoga classes at Yasodhara Yoga Toronto. Class sizes are kept small, and the Yasodhara Yoga practices we offer are gentle, reflective and practical. We welcome adults of all ages, abilities and spiritual traditions. Discover offerings of Hatha Yoga, Gentle Hatha Yoga, Hidden Language Hatha Yoga, Satsangs, as well as workshops throughout the year. 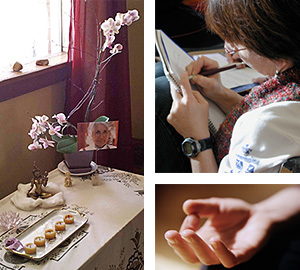 Yasodhara Ashram offers more inspiring ways to study, work, retreat and connect at the Ashram and to discover your own path to the heart of yoga. Learn more about Learning Residencies and other options here. Get all the latest news, information on classes and events at Yasodhara Yoga Toronto on Facebook.